Once in a while I love to take time out from the daily grind to make time to go within myself, ponder, search and see what I can find. For me, Lent, Ramadan and Advent offer convenient opportunities to do just that. This year I took Holy Week off. I had some annual leave remaining, which needed to be taken before the end of March, and the last week before Easter seemed a good time for some soul-searching. And while I was in the mood, I decided to take some time off from social media too - one of my greatest distractions. It so happened that during this week I met two men who had quite an influence on me, and who might just turn out to nudge me into a new direction. The first one was Judas Ischariot. I had agreed to take part in a reflective church service on Monday evening, one in which each of us read/played the part of one of the six characters from Stephen Cottrell's book 'The Nail' - Peter, the Centurion, Pilate, Caiaphas, Judas and Mary Magdalen. As soon as I read the parts, I knew Judas was for me. I loved Cottrell's Judas. He was a man of conviction, a man with political hopes and dreams. He wanted the best for his people - freedom from the Roman occupation and from oppressive religious leaders. He wanted political change and his frustration grew when Jesus, the man he believed had what it took to bring that political change, did not live up to his expectations. Judas, who was so sure that his way was the right one that he took drastic action in the desire to make it happen. "It is not more love this world needs, but change, leadership, action!" is what he said. Judas reminded me of some zealous political activists I have met over the last year or so, some who are convinced that the end justifies the means - no matter how drastic. 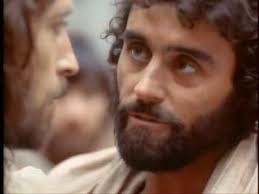 Judas also reminded me of myself, when I am blinkered and unable to see the other side, take the wider view or stand in the shoes of the other. I loved Judas. So human, so misguided, so unable to see beyond his own small mind. So much like all of us! Playing Judas made me cry, and it made others cry too. Life is complicated and I think it is in our human nature to try and simplify it by taking a black-and-white approach. Much easier to see things as black or white; right or wrong; good or bad - definitely much easier than delving into the intricacies and complications of the finer details and underlying factors. I'm not usually a very black-and-white kind of person. My world tends to be in shades of grey (perhaps even more than 50) ... although I sometimes secretly envy the black-and-white types, because I think their lives must be easier and less complicated. But I am reminded that when I step away from the right-or-wrong thinking, I almost inevitably learn new things and gain new insights. For example, any hardened views I might have had about issues like sexuality, abortion or assisted suicide were impossible to sustain and either crumbled completely or at least softened, when I allowed myself to see the other side, hear the stories, walk in the footsteps of another. Easy answers are often, well, just too easy. Too simplistic! I prefer the answer being "There is no definite answer". Cue to introduce Richard Rohr, the other man I met this week. Richard is a Franciscan monk from the US, who describes his Christian stance as "being on the edge of the inside". That's a good place to be. From Richard I learned a name for the thing I have been feeling for a long time - non-dualism. Social media in particular is full of dualistic thinking. And it's so easy to fall into it ourselves. So easy to share that simplistic meme, because it is pithy and witty - without querying or challenging its validity and truth. ... theists are stupid and incapable of rational thought. ... Tories are heartless selfish toffs. ... liberals are lefty pinko communists. ... gays want to convert us all to homosexuality. ... Catholic priests are pedophiles. Even as I write this list, it becomes easier and easier to go down that road of outrageous, unreasonable and spiteful statements. Non-dualism - as I understand it so far - encourages us to take a situation, an event, a moment as it is; to consciously try to not give it a label and make a judgement - at least not straight away. We love to compartmentalise. Are you right or wrong; good or bad; a friend or an enemy? Are you on my side or against me? What if it is a whole lot more complicated than that? What if you can even love Judas? Understand his motivations and desires? And empathise? Where does all that leave me with my involvement in social media? I honestly don't know. I know that I am tired of being exposed to angry and often hateful tweets and memes. I know that having taken some time out has been refreshing, almost healing. I may have to change how I use social media. I may have to lose a whole bunch of friends and followers. Perhaps I should be non-dualistic about this and give myself some time to consider it. 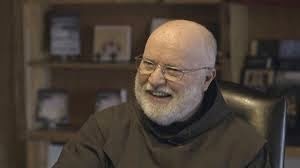 For those of you wanting to hear about Richard Rohr and have two hours spare, can listen to his interview here. Thank you for your reply, Crafty. Happy Easter to you too. Check out the song Shades of Gray by The Monkees, written by Mann and Weil. I've been reading quite a bit of Richard Rohr lately. Currently finding "Things Hidden, Scripture as Spiritually " very interesting. He talks about nondual ways of seeing things in it. The Buddhist teacher Which Nhat Hang has a lot to say about dual & nondual ways of seeing, too.